The Civacon 8030 Ground Monitor is a safe and simple way to visually monitor ground verification with red and green lights that let the operator know exactly the status of the grounding during liquid transfer. If ground is lost during the transfer process the system will shut down. Grouning connection is made with an "alligator style clamp" or dual ball coneection with a coiled or straight cord. 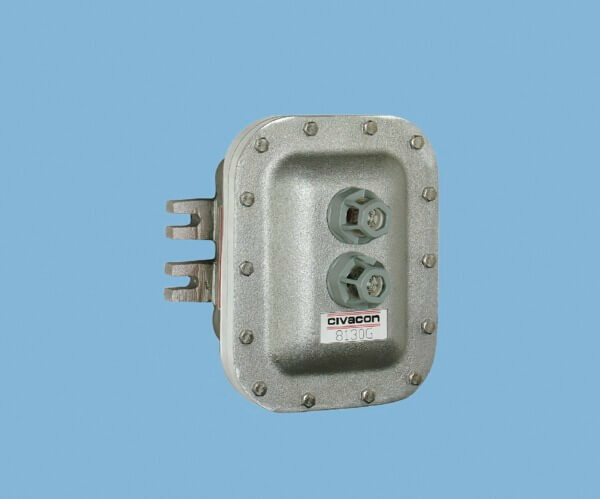 Civicon 8030 Ground Control Monitors are Class 1, Div 1 for explosion proof equipment and are weather proof. Availble in 120 or 240 voltage.